This article was originally published in Telesur. There’s a lot of money to be made doing business with Iran, and the global business community, minus U.S. companies, is ready to roll. There’s a lot of money to be made doing business with Iran, a country of 78 million people—the second largest population in the Middle East, after Egypt. It has a highly educated population with a lot of pent-up demand. Its US$400 billion economy, crippled by sanctions, is poised to surge. And the global business community, minus U.S. companies, is ready to roll. While the Iran nuclear deal needs to pass the U.S. Congress, none of the six other negotiating partners need such legislative approval. Nations that had complied with international sanctions to force Iran to the negotiating table will lift those sanctions once the nuclear inspectors confirm that Iran is complying, which should happen in early 2016. Not so in the United States. Even with the nuclear deal surviving a congressional vote, U.S. sanctions unrelated to the nuclear program (related instead of Iranian human rights abuses and its foreign policy) will still be in place. These laws will continue to bar most American companies from doing business with Iran. They will also prohibit foreign banks or other financial institutions dealing with Iran from operating in the United States or conducting U.S. dollar transactions. But foreign businesses will find ways to circumvent those restrictions; there is simply too much money to be made. After all, Iran has the world’s second largest gas reserves after Russia and it is fourth in oil reserves. Iranian officials say they need $185 billion to update the petrochemical sector. The nation is thought to have rich deposits of zinc, copper and gold, and experts say that mining has the potential to become a $60 billion industry, rivaling the country’s oil industry. Iran also desperately needs to upgrade its infrastructure, including the purchase a new airline fleet of as many as 400 planes. Anxious to attract foreign investment, the Iranian government is opening its doors. Its foreign investment regulations give foreigners 100 percent ownership rights and the right to transfer their profits out of the country in foreign currencies. In certain conditions, tax exemptions can rise to as much as 100 percent of an enterprise’s profits. To quell investor fears of expropriation, the government guarantees compensation for any investments in projects that are nationalized or expropriated. Iran’s supreme leader Ayatollah Ali Khamenei has insisted since the signing of the nuclear agreement that his country is not for sale. But Minister of Industries and Mines Mohammad Reza Nematzadeh told potential investors in July that basically everything except the country’s national oil company was theoretically for sale, including roads, hospitals and factories. The nation’s telecommunications company, which belongs to Iran’s Revolutionary Guard, was recently put up for sale, with bids starting at US$7.8 billion. Foreign businesses are chomping at the bit to get a piece of the action once the nuclear deal goes into effect and sanctions are lifted. Russia will take a leading role in developing Iran’s civilian nuclear energy sector, and Foreign Minister Sergey Lavrov has made it clear that Russia’s days of complying with UN-imposed sanctions are over. China never cut business ties with Iran. China has been Iran’s most important provider of investment and technology transfer, easing the pain of the international sanctions. Chinese companies are now planning for a significant expansion in their economic dealings with Iran. Chinese auto company Changan, for example, just signed a partnership with Iran's Saipa Automotive Group to jointly develop new vehicles. European companies are anxious to wrangle their way into the Iranian market. While worried about U.S. interference and the “snapback sanctions” that would be reimposed if Iran were found to be violating the nuclear deal, those concerns are outweighed by the sheer size of the market. The German Vice Chancellor Sigmar Gabriel traveled to Tehran with business officials from companies such as Siemens, Daimler, Volkswagen and ThyssenKrupp just five days after the nuclear deal was signed on July 14. On August 23, the United Kingdom reopened its embassy in Iran four years after a crowd of Iranians, angered by British sanctions, stormed the compound. (The United States has not had diplomatic relations with Iran since 1979, following the 444-day hostage crisis.) At the opening, UK Foreign Minister Jeremy Hammond was accompanied by a trade delegation that included bankers and oil company executives. Italian bank Mediobanca has already signed a memorandum of understanding to finance deals between Italian and Iranian businesses, with Italian exports to Iran expected to increase by $3.3 billion by the end of 2018. South Korean government and officials from Hyundai and Daewoo engineering and construction companies were recently in Tehran seeking deals in the oil, gas and construction industries. Korea Eximbank has said it is ready to provide project financing, loans and credit to Korean firms trying to secure business in Iran. These high-level delegations show that U.S. leaders can’t even keep Europeans from waiting for the congressional vote before seeking business deals. U.S. competitors are delighted to see U.S. companies bogged down in the political wrangling of their government. 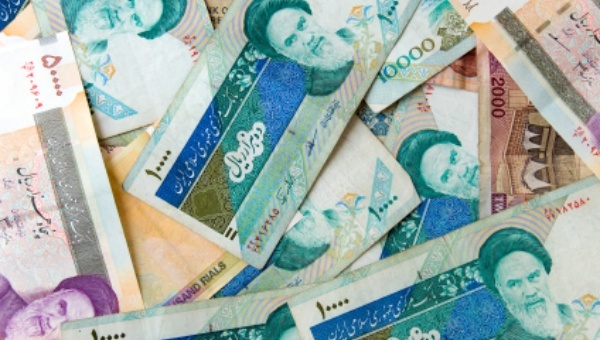 Getting a leg up at this critical moment before the floodgates open, foreign businesses poised to invest in Iran are likely to be laughing all the way to the bank.